A three-island collection, Koh Nang Yuan is a haven for underwater lovers along with providing stunning scenery that needs to be captured by the eyes before the flash. And Koh Nang Yuan pier resembles the same thing, the pier offers a daily boat service to various nearby locations including Koh Tao. 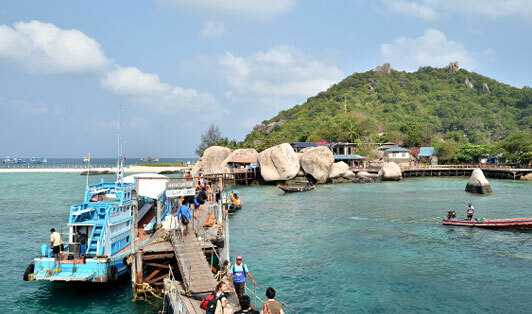 It also has a longtail boat service that you can take anywhere from the beaches of Koh Tao and more.